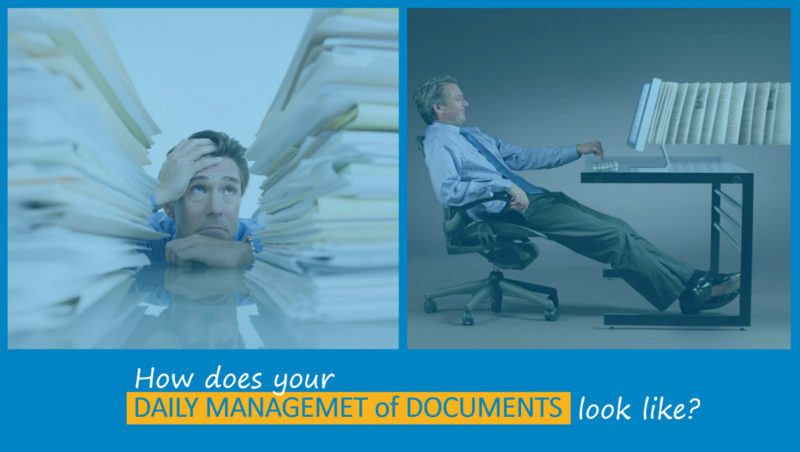 What is DMS – Document Management System? A document management system (DMS) is a system (based on computer programs in the case of the management of digital documents) used to track, manage and store documents. This system should be capable of keeping a record of the various versions of the documents created and modified by different users (history tracking). Document management software makes it easy for businesses to combine paper and digital files and store them; physical documents or paper files are scanned and digital formats are imported. File formats supported can range from Word documents, Excel spreadsheets, PowerPoint presentations, PDF files, etc. Document Management processes are essential to ensure statutory or regulatory compliance, such as tax declarations, conformation to various standards, such as ISO, FDA, etc. Such requirements demand easy traceability of documents and audit trail of document creation, access, modification, approval and submission. Document management is essential in all sectors: Commercial Businesses, Banking, Non-Banking Finance & Insurance, Government & Non-Government, Education, Healthcare, Research & Development, Construction and many more. Documents stored in a document management system (DMS) – such as procedures, work instructions, and policy statements—provide evidence of documents under control. Failing to comply could cause penalties, loss of business due to con-conformance or non-compliance, or irreparable damage to a business’s reputation. Integrated document management comprises the technologies, tools, and methods used to capture, manage, store, preserve, deliver and dispose of ‘documents’ across an enterprise. In this context ‘documents’ are any of a myriad of information assets including images, office documents, graphics, and drawings as well as the new electronic objects such as Web pages, email, instant messages, and video. Access to your organized documents should not be limited to a single device. It is important to ensure the software is compatible with all devices including desktops, laptops, smartphones, and tablets. With modern technology, there is no reason that applications are unavailable for any of these devices. The ability to scan documents into a database one at a time is an extremely daunting task and a major waste of time. When selecting a DMS – document management system, ensure the software has the ability to queue up multiple documents for scanning. This will allow you to complete the task quickly while still maintaining a high level of readability. An ideal DMS – document management system, contains a powerful document search engine that searches through document content and gives you quick results and allows you to quickly retrieve documents. The software interface should be simple and easy to navigate. Not everyone is technologically inclined, so the simpler the software, the better. Look for a DMS solution that can be easily understood by all employees to save time and the money spent on training in the new system. Ideal DMS should provide role based information and alerts based on documents. Security is one of the most critical aspects of a document management system. The ideal software will provide a high level of documents encryption and role based access. There should be a folder hierarchy and options for folder privacy. An ideal document management system has an inbuilt enterprise level Business Process Management and Workflow Automation that automatically routes the documents to their destination. Also it allows you to create your own processes and manage them however you like. Its pioneering structural design paired with potential functionality and a considerably impressive and intuitive user interface holds out VIENNA Advantage DMS as an exclusive product in the correlated market. VIENNA Advantage DMS can be installed on premises, on your private cloud or on the Enterprise Cloud offered by VIENNA Advantage. Its web based mobile client is light enough to run on mobile devices such as tablets and enables you to be in control of your documents from anywhere and still offering you’re the full power. If you want to have a closer look at our DMS solution see the DEMO video, or find more about its enterprise level features here.